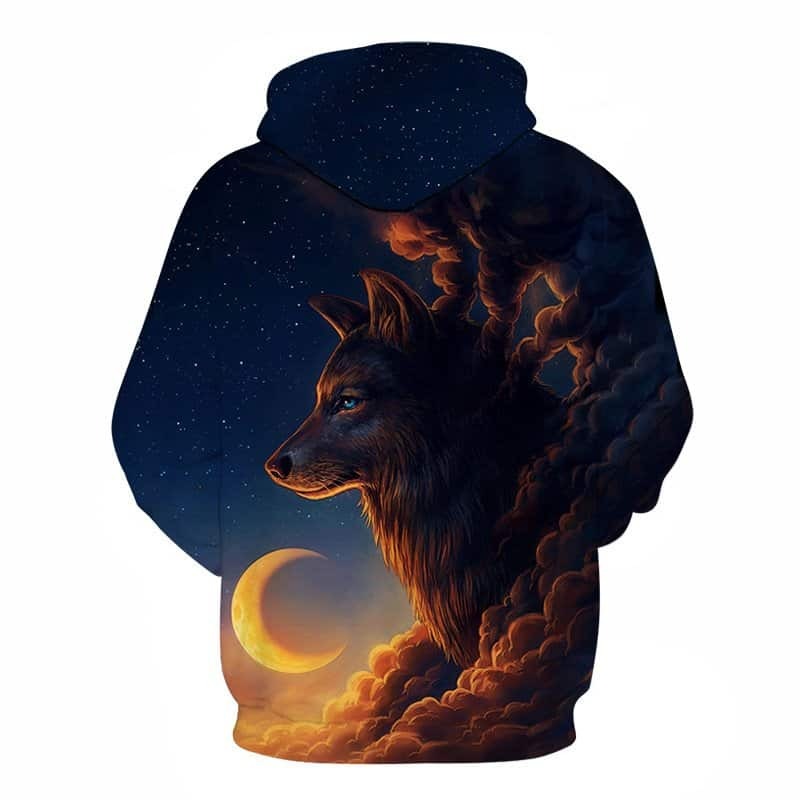 A majestic hoodie featuring a beautiful wolf with a sunrise background. 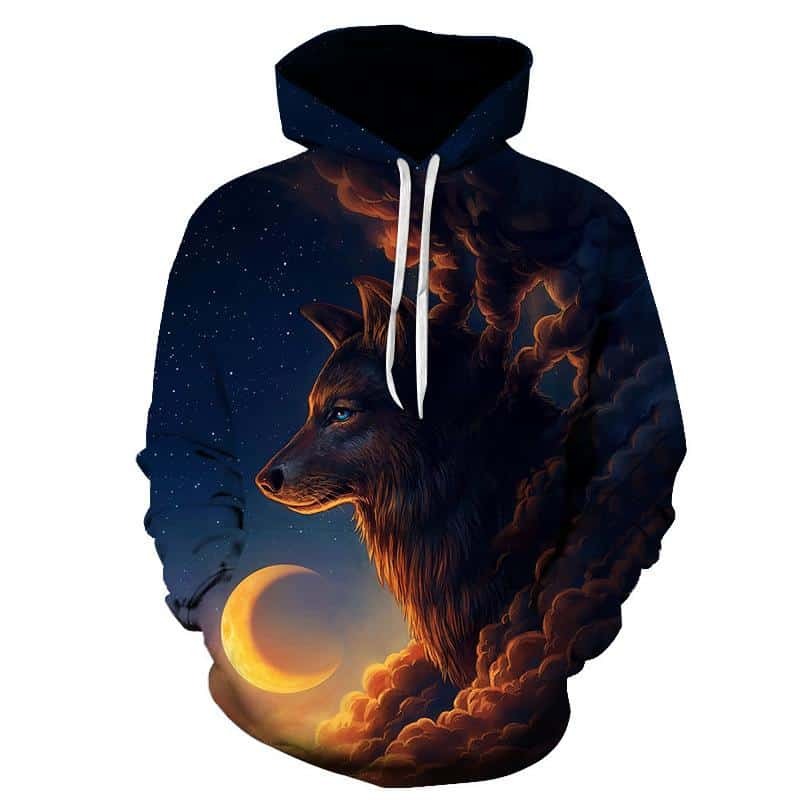 We coined this hoodie Sunrise Guardian Wolf Hoodie. The name isn’t that original, but the print is. A truly beautiful print for fans of majestic wolves. The hoodie is comfortable to wear, looks fashionable and is wearable anywhere. It was designed for both male and female. Package came quickly enough, no defects. Product description. The quality is good. My Russian size 48-50 XXL fit perfectly. Thanks to the seller.